If you're tired of breaking axles, gears and everything else to be told "just buy more". 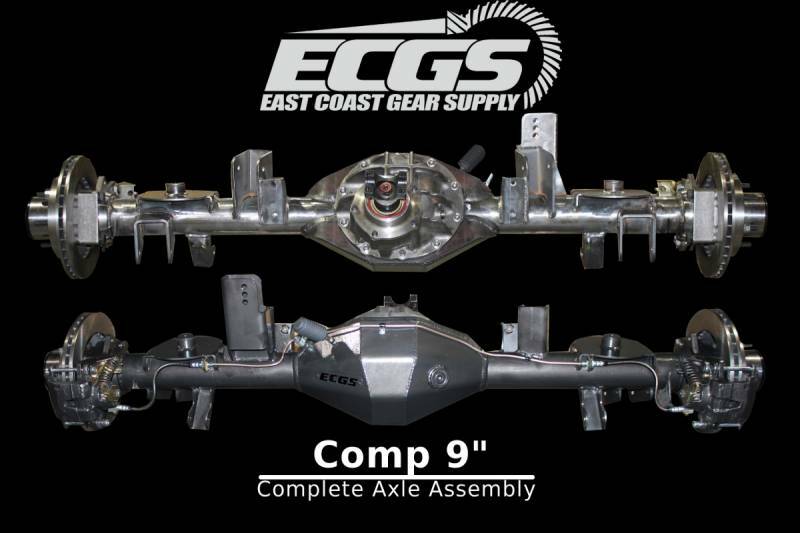 The ECGS COMP 9" is the end of the battle..... backed with a unmatched 5 YEAR warranty. The Semi Float COMP 9" CAA is comprised of the strongest axle components on the market and we have had these in numerous KOH Series, and XRRA series race vehicles. They are for the serious competitor or the weekend wheeler tired of breaking parts. All parts used in the COMP 9" Differentials have been tested and used in intense use and we believe them to be the Strongest components on the market. Please see our Full Float option for other bolt patterns. The shafts are American Made: Heat Treated and cryotreated in your choice of 4340 or 300m. Again these shafts have a lifetime warranty and we have never had a failure with either our 4340 or 300m Shafts. These shafts allow us to control the material being used and the Heat treat and cryo process better these shafts are of unmatched quality. Full Float Comp 9 shown.